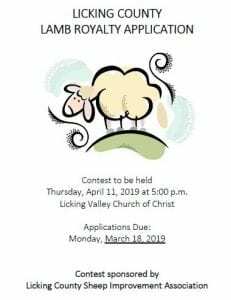 The application for those wishing to apply for the 2019 Lamb Royalty Contest is now available. Applications are due to the Licking County Extension Office by Monday, March 18, 2019. 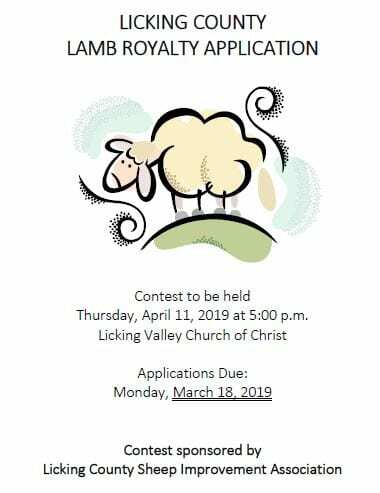 The contest will be held on Thursday, April 11, 2019 at 5:00pm which will be just prior to the 2019 Lamb Banquet. Congratulations to Makenzie and Morgan! We are so very proud of these two young women. Makenzie Westbrook, our 2018 Hartford Fair Queen, wonderfully represented the Hartford Fair and Licking County 4-H in the Ohio Fair Managers Association’s Ohio Fairs Queen Contest this week at the annual convention in Columbus. 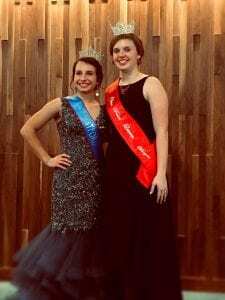 She will continue to represent Licking County and the Hartford Fair through 2019, until she passes on the crown to a new queen at the fair in August. We are also proud of Morgan McCutcheon, 2017 Hartford Fair Queen and 2018 Ohio Fairs Queen for this last year as she represented not just the Hartford Fair and Licking County 4-H, but all of the Ohio fairs and 4-H for 2018. While she passed on the title to a new queen on Saturday, we know she will continue to be an outstanding example for our programs.